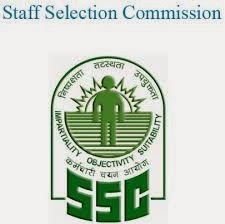 Recently staff selection commission conducted a written examination for the posts of Data Entry operator and Lower division clerk posts. All those candidates who will be declared qualified in the combined higher secondary level written CHSL examination they will be call for Skill Test. Skill Test for 10+2 CHSL recruitment for LDC posts and DEO posts will be different. Mexam.IN brought latest information for the Skill Test for Both posts. hope this will be useful for preparation of Lower Division Clerk and , Data Entry operator posts. All Skill Test for DEO posts will be taken on Computer only. Skill Test for data entry operator posts will be qualifying nature and each candidate will get only one chance to qualify skill test at the prescribed typing Speed on computer. No candidates will get exemption form skill test. Only those candidates who qualify in the skill test a spee of Not Less than 8000 key Depression per hour will be eligible for being appointed as per there merit of written examination . Total 15 minutes time duration will be given for data entry operator skill test for type a printed matter in English language. This matter will contain a matter in English language about 2000 strokes / key depression would be given to each candidates who would enter the same in the computer. Hindi Typing @ 30 w.p.m. (Time allowed 10 minutes) (30 minutes for VH candidates). (35 w.p.m. and 30 w.p.m. corresponds to 10500 Key Depressions Per Hour/ 9000Key Depressions Per Hour on an average of 5 Key Depressions for each word).